You will automatically receive an email informing you if your numbers have won a prize following your chosen lottery draw. You can also check the winning numbers directly on Lottoland.co.za by selecting your product from the top navigation menu then clicking on the "Results & Numbers" tab. The winning numbers are published shortly after the official draw has taken place. To view all bet information, customers can sign into their account and choose 'My Activity' from the drop down menu. At the top right there are three options: 'Draws' , My Bets or 'Syndicates'. Click on the option you wish to view and your individual details will be displayed. As a Lottoland player you will be automatically receive an email informing you of results and any winnings that will be credited to the balance of your Lottoland user account automatically. Please note that all new Lottoland players must first provide proof of their identity before a betting account can be established in terms of South African Anti-Money Laundering legislation. As part of the registration process, you must specify the bank account you would like any winnings to be paid into. When you withdraw funds from your betting account, you must specify the amount of your balance that you wish to withdraw. To ensure that only you get paid for your winnings, and to prevent money laundering, you will be required to provide details of your banking account, which must be held in your name with a registered South African financial institution. Any amounts requested to be withdrawn from your betting account will be deposited into your bank account within a few business days. Lottoland is licensed and regulated by the Western Cape Gambling and Racing Board. 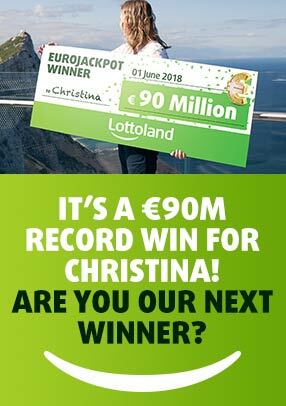 All your winnings are guaranteed to be paid out by Lottoland.